Made from high Quality, heat treated tool steel. Finely balanced with liberal overall shank size. Ensures deep, clear and legible stamped impression. 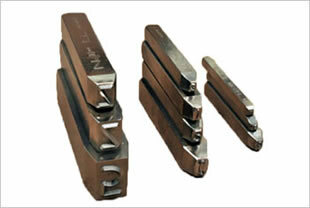 Safeguards against mushrooming, chipping and splitting of hammering end. Dull Nickel Plated for rust free longer shelf life. 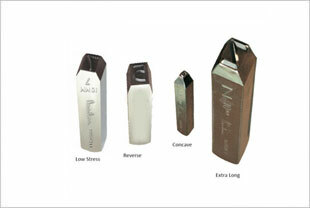 But-Welded stamps: for marking red-hot (upto 1000Â°C) Railway Axles, steel billets etc.